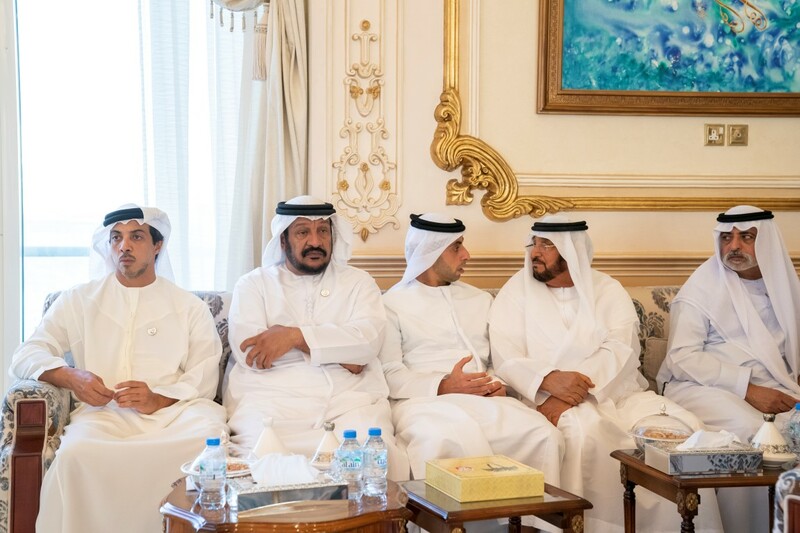 Among those who attended the meeting were Dr. Amal Abdullah Al Qubaisi, Speaker of Federal National Council, FNC; H.H. Sheikh Tahnoun bin Mohammed Al Nahyan, Abu Dhabi Ruler’s Representative in Al Ain Region; H.H. Sheikh Issa bin Zayed Al Nahyan; H.H. Sheikh Nahyan bin Zayed Al Nahyan, Chairman of the Board of Trustees of Zayed bin Sultan Al Nahyan Charitable and Humanitarian Foundation; H.H. Lt. General Sheikh Saif bin Zayed Al Nahyan, Deputy Prime Minister and Minister of the Interior; H.H. Sheikh Mansour bin Zayed Al Nahyan, Deputy Prime Minister and Minister of Presidential Affairs; H.H. Sheikh Khalid bin Zayed Al Nahyan, Chairman of the Board of Zayed Higher Organisation for People of Determination, and Sheikh Nahyan bin Mubarak Al Nahyan, Minister of Tolerance.